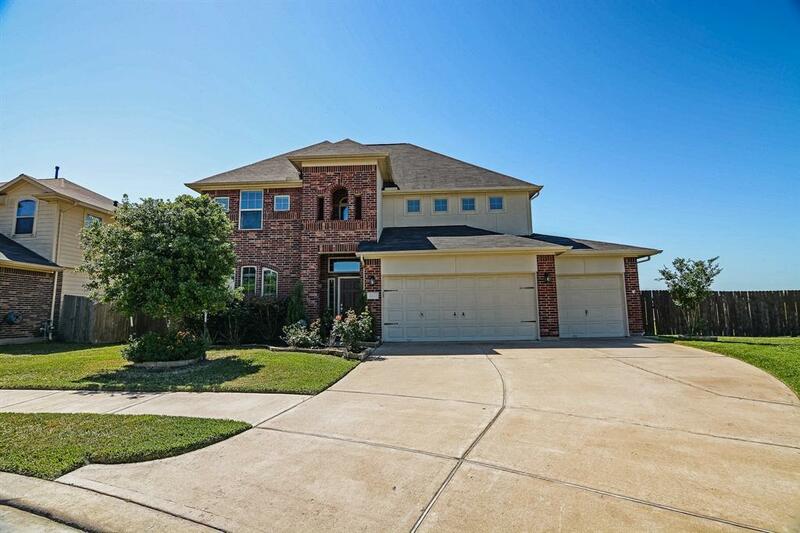 GORGEOUS 4 BEDROOM! TRULY L-O-A-D-E-D WITH UPDATES & UPGRADES! Oversized Corner Lot - Over 1/4 Acre per FBCAD! 3 Car Garage! Recent Paint + 20" Tile Flooring + Fans + Wifi Light Switches & Thermostat + Landscaping + Bath Mirrors++! 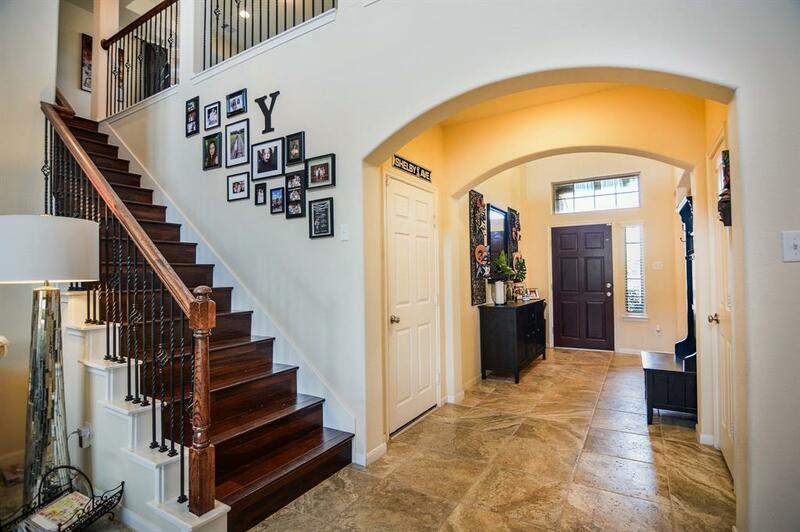 Impressive Foyer - Arched Entryways + Wood & Iron Stairs! 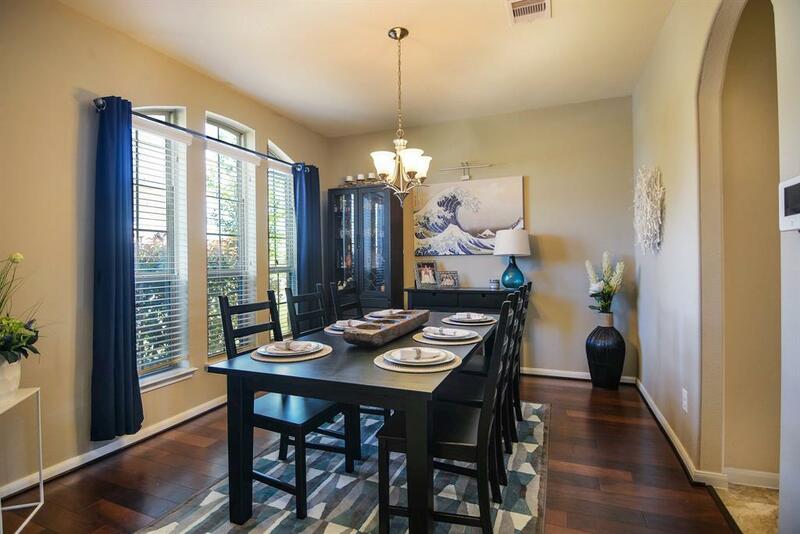 Elegant Formal Dining! Delightful Kitchen: Granite Counters + Stainless Appliances! Recent Samsung Dishwasher + Gas Range/Stove with Double Ovens! Two-Story Family Room! Private First Floor Master Suite - Bay Window Sitting Area + Lovely Garden Bath with Dual Sinks & Walk-In Closet! Large Gameroom/Media Room! Enormous Paver Patio with Pergola & Second Covered Area with Fan! Fire Pit! HUGE Backyard! Red Maple, Crepe Myrtle, & Japanese Berry Trees! Nine-Zone Sprinkler System Covers Front AND Back Yards! 3 Car Finished Garage with Recent Paint, Showroom-Type Floor, & Work Area! 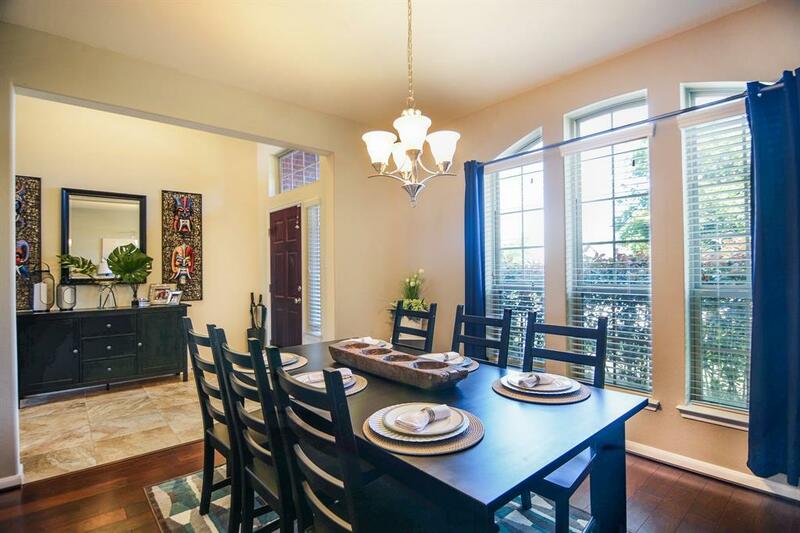 Quiet Community with Easy Access to the Grand Parkway & Westpark Tollway! W-O-W!